Remember my parentals gave me a herb box for Christmas? If not read the post here. But it had a chilli plant and flat leaf parsley, I am a bit rubbish at keeping plants alive so I was beyond excited when I discovered by chilli plant didn’t only have leaves but chilli’s as well. I watched them grow from teeny tiny ones into a decent size so that they were ready to be picked and used. Round about the same time I realised my parsley was also ready to be used. Good thing I had offered to make some snacks and Amoskils and JeJe’s engagement party. I went and picked off what was needed so I could add some freshness to my frittata’s. 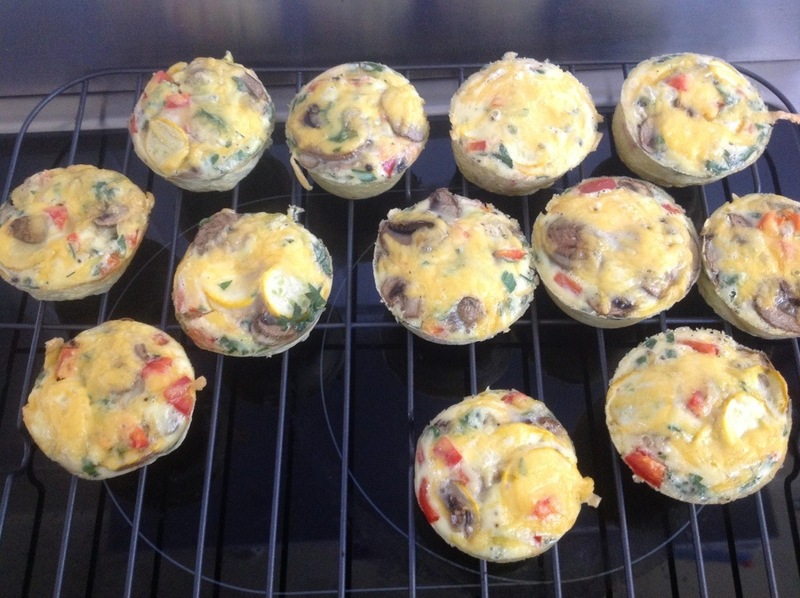 If you haven’t had a frittata before it’s a good option if you need wheat free snacks, because it’s kinda like an omelette in the shape of a muffin. Wow ok that was a bad description – its only like an omelette because there is egg in it – they are light and tasty and you can fill them with whatever your heart desires. These ones I made were completely veggie and had yellow courgettes, mushrooms and red peppers with some extra goodness provided compliments of the herbs. The frittata’s are topped with a bit of cheddar cheese before baking. these turned out rather well and I obviously had to sample them before I took them out for others to try. The result was pleasing, they were light and really full of flavour, turns out my chilli packed quite a punch. Tell me what you think? 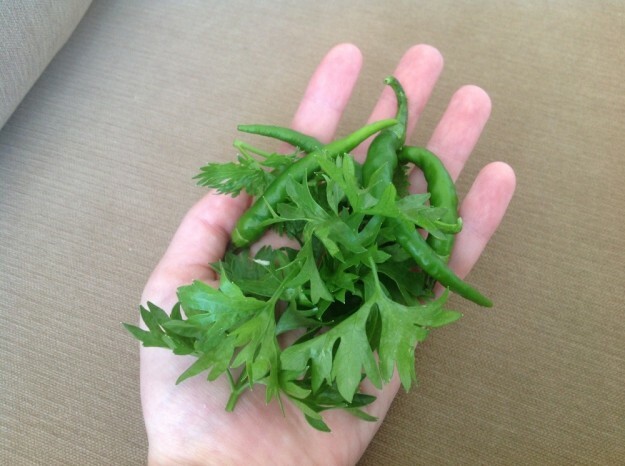 This entry was posted in Eat and tagged fresh, herb box, herbs.